LONDON (Reuters) - Amazon has secured central London retail space for its checkout-free Amazon Go food stores concept, The Grocer reported, in what would be the company's first expansion of its automated convenience shops outside the United States. Selling food in physical stores is a key strategy of the world's top online retailer as it tries to win business from shoppers. It has so far opened 10 Amazon Go stores in the U.S. but is yet to take the concept overseas. The trade publication did not say how many sites had been secured for the stores, where sensors and cameras track customers as they pick up items, allowing them to be automatically charged for their shopping. 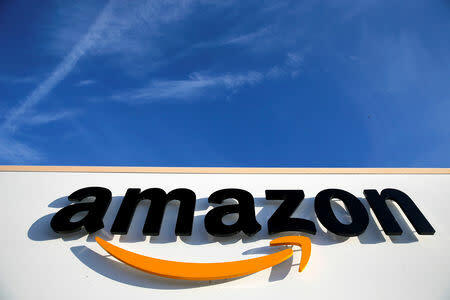 A spokesman for Amazon in the UK declined to comment on the report. Bernstein analyst Bruno Monteyne said the Amazon Go stores would fit into the high-traffic segment of the convenience food retail market, catering for people on the move or working locally, selling "on the go food", meal kits and standard groceries. In that sense they would compete with chains such as Pret-A-Manger, Eat and Marks & Spencer, as well as the convenience stores of UK grocery market leader Tesco and No. 2 player Sainsbury's. 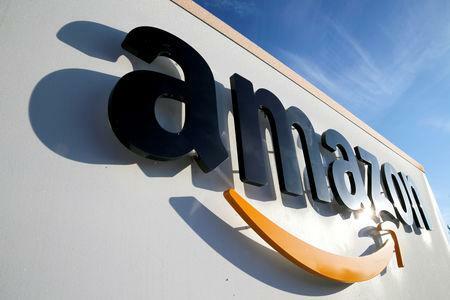 "This particular convenience segment seems an even bigger challenge than the segments Amazon has targeted for the last 10 years with limited success," said Monteyne. Amazon currently sells food in Britain through its Amazon Fresh, Amazon Pantry and Amazon Prime Now services. But, according to market researchers Kantar Worldpanel, its UK grocery market share is still less than 1 percent.